I have recently found the perfect way to teach my boys compassion and kindness towards the less fortunate through a pretty awesome company, cuddle + kind. This amazing company sent me two knitted stuffed animals and a bit of information for a review. Little did I know that this would evolve into a family lesson on philanthropy and helping others. You have got to check this out and let me know what you think. Recently, I came across this company called cuddle + kind and really loved their message and products but wanted to find a way to use their mission to teach my littles. After pondering ideas, I came across a fun activity that makes these super cute knitted stuffed animals way more than just a gift. “We’re a family of five on a mission to help feed children in need. I love the story behind this brand and decided to share the lesson with my littles. Their stuffed animal helps them by choosing one food item from our pantry or toy from their room per day and then places it in a bin. At the end of the month, we donate to the food shelter or Goodwill. At first, this was a task. Jack was happy to choose a food item but did not want to give up a toy. I tell him that it is important to give to the less fortunate as there are starving kids with no toys in the world and since he is blessed, it is his duty to share his blessings as long as he is alive. We try to alternate food and toys daily. This activity really makes me feel like my boys are going to be more compassionate and giving as older children or adults, at least I can hope so! Each animal is handmade with natural cotton, meets US and Canadian safety standards, has a unique back story, a signature wristband, and a special birthday. 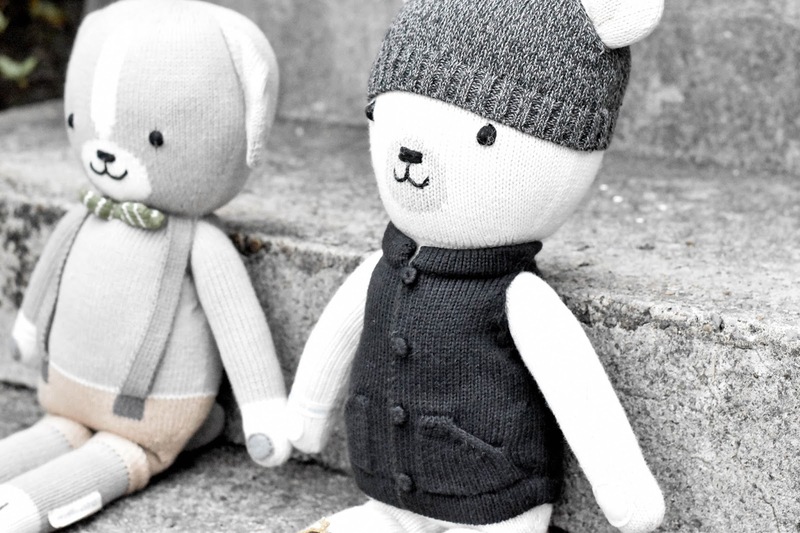 Get your little a cuddle + kind handmade, knit stuffed animal or perhaps gift one to a friend! Click here to visit their website.